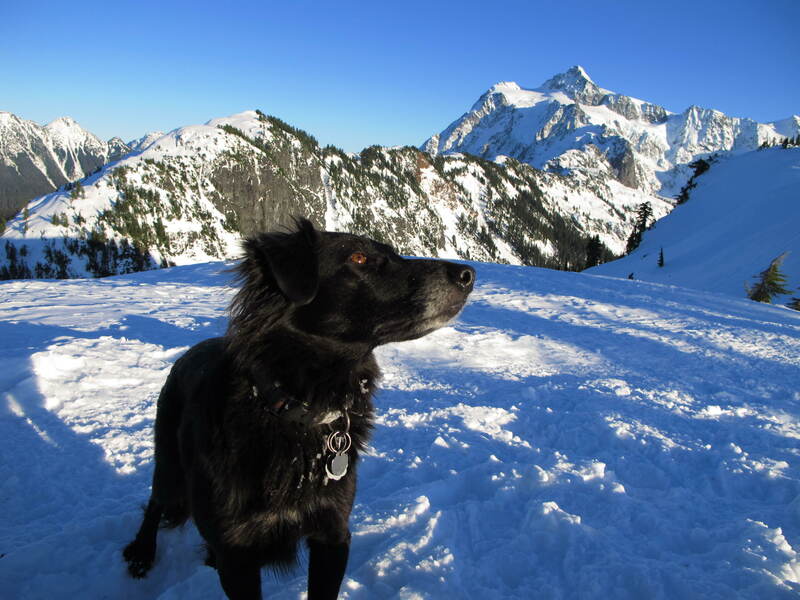 A sublime walk up on the mountain. You can force the meditation scene, the peacock feather ceremony that’s supposed to make it all better. The search for the sublime is rendered impossible when you seek it out. But sometimes the weather cooperates, a slight glitch in the system makes it warmer on the mountain than back in town; a slot in your schedule opens up; the moon is full, stirring your body and your soul; the dogs surprisingly behave, obeying your wishes. And you just have to be up on the mountain. 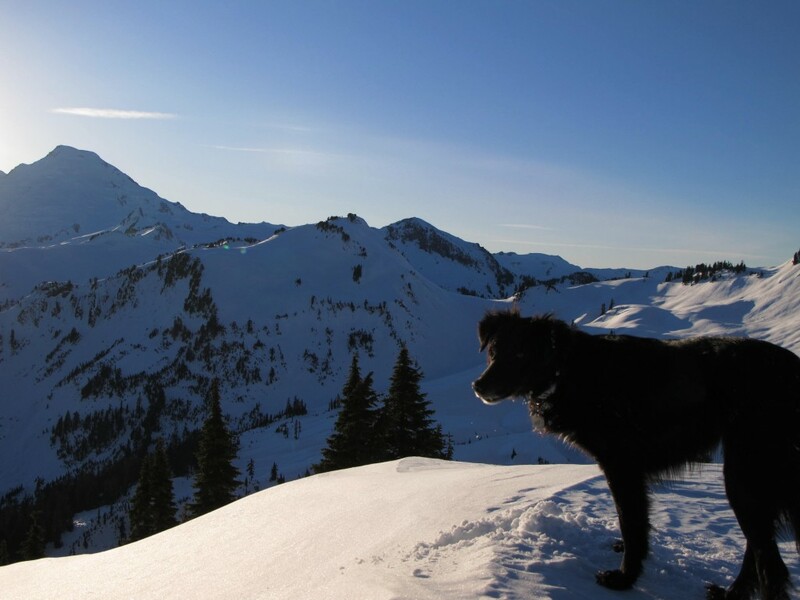 We headed up the mountain with snowshoes for a clear look at Mount Shuksan, so close we felt we could touch it, and Mount Baker, out there, elusive. Impossible to reach. Always. You live in its shadow for the past two years and Kulshan seems closer when you’re in British Columbia or somewhere on the Puget Sound on a ferry. Even on a hike that takes you right under its shadow, it seems to move away, leaving you behind. You tell your wife you’re going to Baker to go hike or ski. But really you know all you’re going to do is play in the midst of Baker’s bigness. 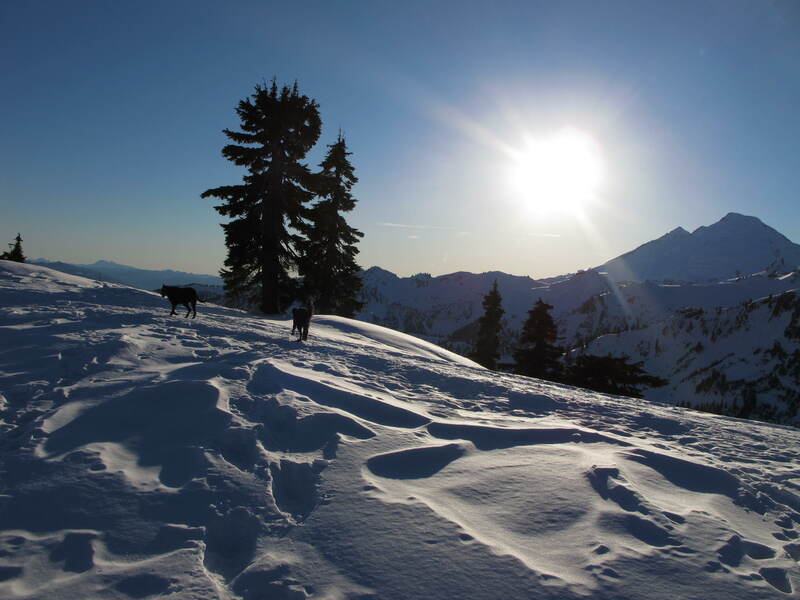 Kulshan calls but you still can’t make it to the top. Debussy’s Clair de Lune played in my head when we met for tea. The moon makes you mad. The moonlight prods into your soul. It’s beautiful outside. 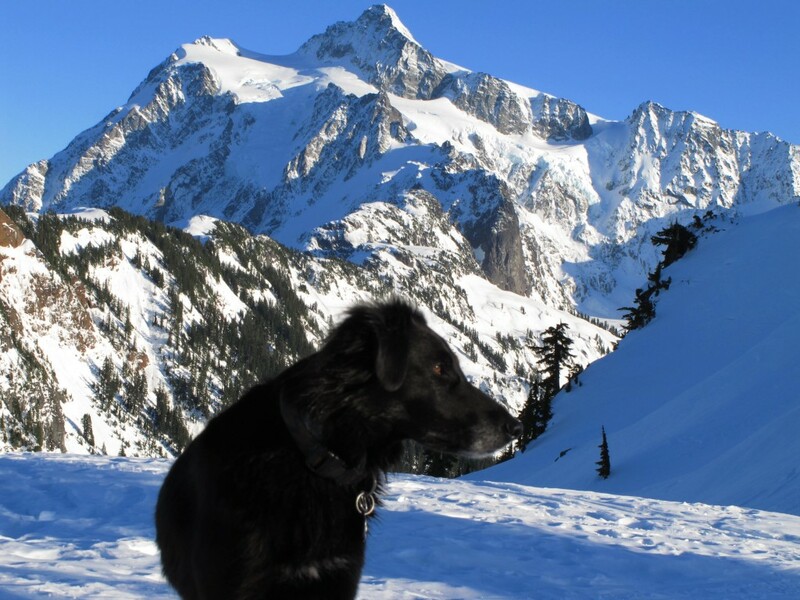 December 12, 2011 | Filed under Uncategorized and tagged with clair de lune, hiking, mount baker, mount shuksan, paul verlaine, snowshoeing.